Last edited by novemberRain on Sat Aug 06, 2016 2:19 pm, edited 13 times in total. Last edited by novemberRain on Sat Aug 06, 2016 1:29 am, edited 3 times in total. the 1st Contestant is Mister Jawa Barat 2015 - Alor Suhanda Saputra (22/180cm), he is a Police Officer. Last edited by novemberRain on Sat Aug 06, 2016 1:28 am, edited 1 time in total. Last edited by novemberRain on Sun Jun 14, 2015 11:12 am, edited 1 time in total. some contestants vying for Mister Jambi 2015, the final on November. Last edited by novemberRain on Mon Jun 15, 2015 11:44 am, edited 1 time in total. The New Mister Kalimantan Tengah 2015 is Kandar Anggriawan, 21/183cm. Last edited by novemberRain on Fri Jan 22, 2016 2:45 pm, edited 1 time in total. Can't believe the current winner share the same name with me, too bad I'm f***ing ugly. HAHA. Good Luck Indonesia!! Another male pageant that worth to watch out for. Asian Hotness overload!! 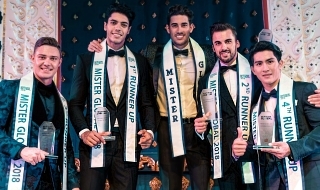 Bested their respective competitors, two Puerto Rican Brother under the directorship of Sir Miguel Rene Deliz have eventually named as International Male Pageant winners, Christian Daniel of our very own Mister Universal Ambassador 2015 and Melvin Roman as Mister Model International 2015. 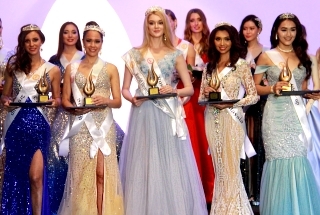 Confirmed by Edin Muhammad, Founder of the IMP Organization, both winners are to attend the coronation night of MISTER INDONESIA 2016 to be held in allegedly tremendous island of Bali. 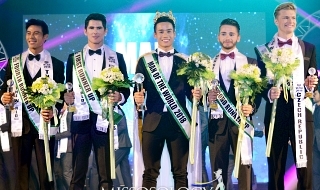 Mister Indonesia 2016 invited more than 20 eligible men toward the crown, significantly exaggerated from the previous event which only 12 contestants. Some winners of this event will represent Indonesia to Mister Universal Ambassador 2016, Mister Model International 2016, Men Universe Model 2017 and possibly to other major male pageant to be held in China this year. Along with the reigning Mister Indonesia 2015, Damian Ronny Chandra of Kalimantan Barat Province, both Christian and Melvin will crown the selected contestant to represent Indonesia for the said pageant titles. Omett Chandra Muher - Mister Indonesia Bangka Belitung 2016 with Ms. Jessica (Zumba Instructor). Mister Jawa Timur 2016 final on feb 27!